In Multi-Effect Distillation Evaporators, the upper end of the rising film evaporation tubes protrude from the upper tube plate of the calandria, so that the liquid after evaporation does not flow back into the tube and the vapor produced inside the tubes can leave the tubes without passing the liquid level on the upper tube plate. This avoids the excessive entrainment of the liquid and higher vapor and distillate salinity. 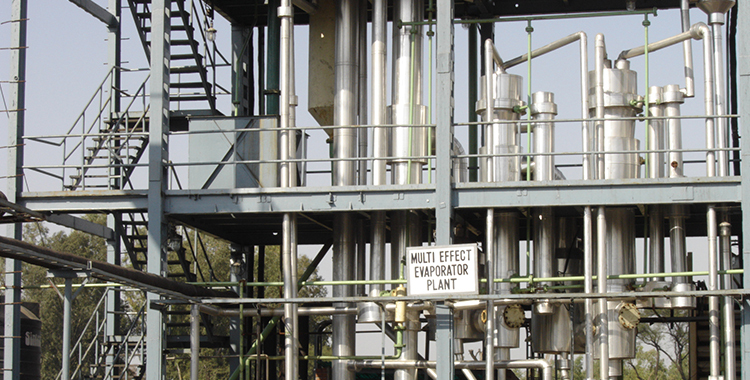 Chem Process’ Multi-Effect Distillation Evaporators have removable covers for easy accessibility to the demister pads. 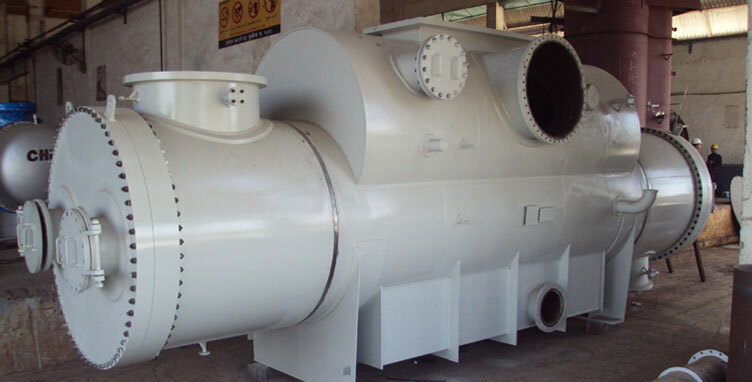 On the condensation side, the heating elements are designed with special internal air cooling zones which ensure optimum concentration of the non-condensable gases which are evacuated by the ejector.